Tim Scheer of Shake & Bake BBQ uses BPS Sweet Money rub to season his competition spare ribs and finishes them off with Simply Marvelous Spicy Apple and some Blues Hog BBQ sauce. A great West Coast Offense duo on ribs. This stuff is my go to for almost everything! It goes great on pretty much everything pork from Pork Butts to Ribs. It even goes great on chicken and gives everything a perfect balance of sweet and salty. You can use it on its own or pair it with some simply marvelous rubs or my personal favorite add a little bit of BPS Cucka Racha to get a little sweet and heat flavors going. If you haven't tried it yet I recommend giving it a go! Two thumbs up! This seasoning truly has the perfect marriage of sweet and salty. Highly recommended! 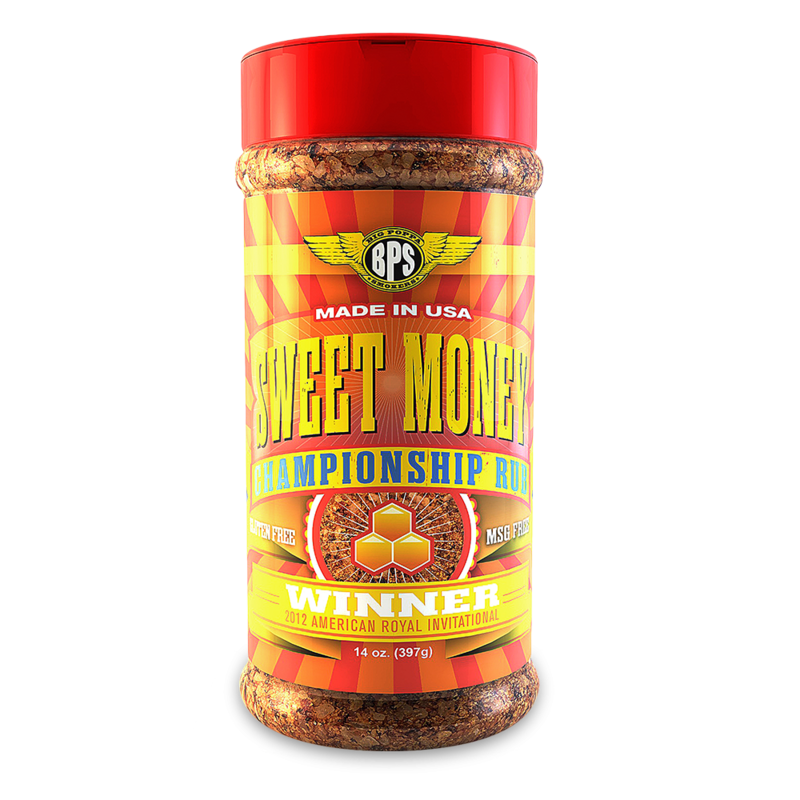 We use this rub on our KCBS Chicken. Just the right amount of sweetness for an amazing result. Great rub! Very savory and well rounded. 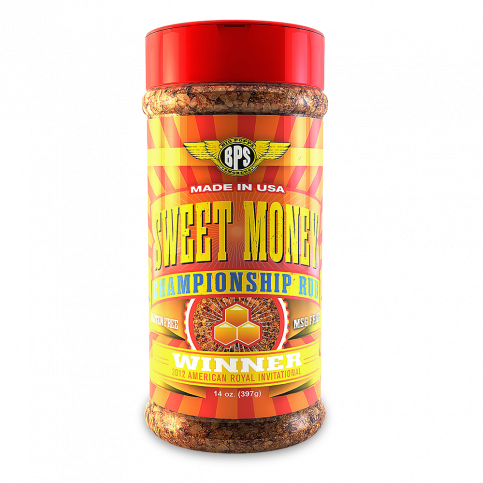 I began using Sweet Money on ribs over a year ago and have had multiple category wins, Grand Championships and scored a perfect score 180 in KCBS using this rub. Now I am experimenting with it on Pork, Chicken and other categories. It’s just an all around incredible rub!